Pakistan Tehreek-e-Insaf (PTI) leader has been elected 13th President of Pakistan, according to unofficial and unconfirmed result. Arif has received 320 electoral votes, Fazlur Rehman 159 and Aitzaz Ahsan 120 votes. 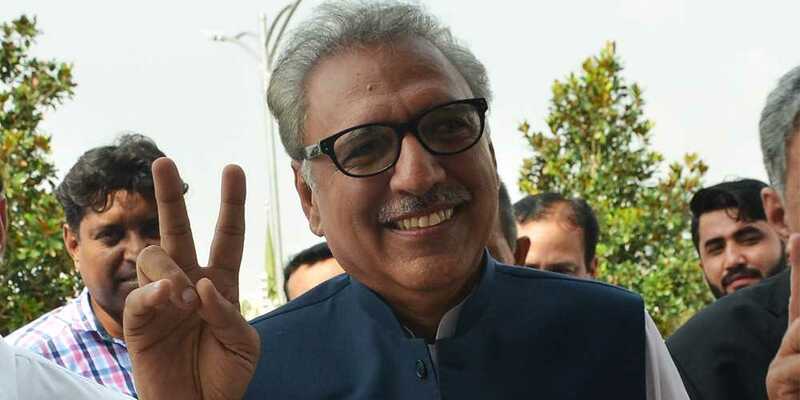 According to the results of National Assembly and Senate, Arif Alvi bagged 211 votes, Fazl 131 and Aitzaz 81 votes. A total of 424 votes were balloted of these six were rejected. In the Sindh Assembly, out of total of 158 votes, Aitzaz Ahsan bagged 100 votes while PTI candidate Arif Alvi secured 56. Two votes were rejected. PTI candidate Arif Alvi won from Balochistan securing 45 votes. Opposition candidate Fazl-ul-Rehman received 15 while PPP's Aitzaz Ahsan bagged zero votes. Arif Alvi won by securing 78 votes in KP Assembly, Fazl received 26 while Aitzaz got 5 votes. In Punjab 351 out of 354 lawmakers cast their vote.